My latest softie has been recieved so I can now show him off to you, my loyal fans lol. 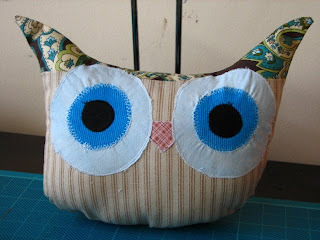 I saw a similar owl on an etsy seller and fell in love. He has the prettiest blue eyes don't you think? The material which his ears are made of covers his whole back and on his bum is a little felt heart.